75 years ago, Amelia Earhart attempted to fly around the world. During the flight, she disappeared. What happened to her remains a mystery to this day. New York Times bestselling author Eric Wilson has become known for his out-of-the-box fiction, ranging from mysteries to vampires. He has refused to be put into a box. With his first novella release, Amelia’s Last Secret, historical fiction can be added onto his list of genres. This novella was superb. It was fast and thrilling. There was not one page where I got bored. The mystery of what was happening grabbed me from the start of the novella to the last page. Eric excelled at characterization in this story, which can be incredibly difficult for a novella as you have to tell the story as well in about a quarter of the length of a full novel. Amelia, a woman I have heard about and learned about for so many years, finally was brought to life. I also learned some things about her that I did not know before I read this story. I also enjoyed the layout of the story. 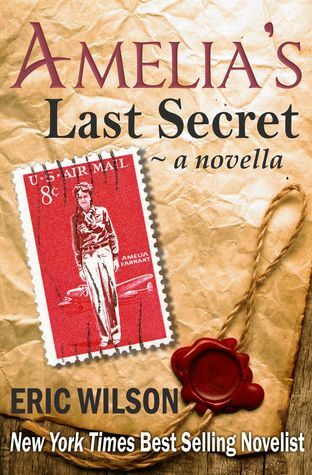 Eric divided it into four sections– the first featuring Amelia, the second featuring a soldier a few years after Earhart’s disappearance, the third one featuring a nineteen year-old in the present day, and then back to Amelia to finish off the story. These sections provided freshness to the story and an extra layer of mystery and intrigue. I urge you to buy this extraordinary story. I enjoyed it immensely, and I am sure you will too.